After a boom in CD Sales during the 1990s, Napster demolished the traditional distribution methods of the music industry in 1999 and paved the way towards today’s world of streaming services. Napster did this by offering downloads via a P2P network, making almost any piece of music free for users to download. This had a major effect on the revenue streams of artists, producers, and record labels, who were forced to rethink their revenue strategies to account for the major losses they were seeing in album sales. Apple had some success reversing the effects of Napster with the advent of the iPod and the iTunes stores, selling by the song, starting at 99 cents. This shift greatly affected the way artists and producers went about creating music. It was no longer enough to make one great song and a bunch of mediocre songs and call it an album. Each track had to be worth 99 cents for a user to spend their money on it. As album and individual song sales continued to decline through the early 2000s, rights holders and creators began looking to streaming services who could pay them per ‘listen’ effectively, either through ad revenue or monthly subscription services. Today, streaming music services are ubiquitous to our lives. They have successfully quelled the demand for free download services like Napster, offering easy-to-use products and instant access to millions of songs that require zero space on a user’s hard drive. There are dozens of platforms today that give users the freedom to stream and share music. Streaming services have become vital to the music industry, so much so that the Recording Industry Association of America (RIAA) now factors music streaming into its Gold and Platinum album certifications. In fact, Kanye West’s “The Life of Pablo”, with 3 billion worldwide streams, is the first record to go platinum based entirely on online plays. Currently, the music industry lacks a verified global registry of music creatives and their works. Attempts to build this have failed to the tune of millions of dollars, largely at the expense of some of the collective management organizations (CMOs), and the agencies (such as ASCAP , PRS , PPL and SOCAN ) who ensure that songwriters, publishers, performers, and labels are paid for the use of their music by collecting royalties on behalf of the rights owners. This has become a real issue, as evidenced by the $150 million class action lawsuit that Spotify is currently wrestling with. 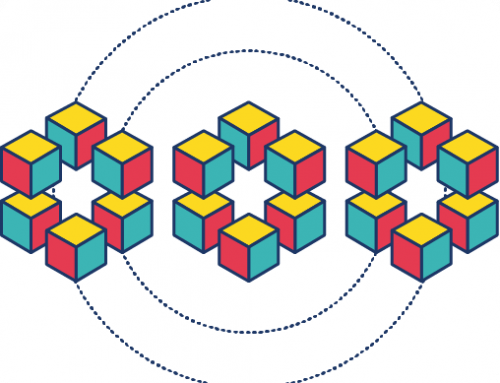 As Blockchain has entered into the public lexicon over the past few years, it has become clear to many in the music industry that blockchain holds tremendous potential. Its application includes solutions for releasing music, streamlining the distribution model and funneling more of the revenue towards the creators, producers and artists by eliminating fees imposed by middlemen between end users and artists. A blockchain-empowered rights and payments layer could provide easy ways for people from all over the world to license, buy, stream, collaborate, and literally invest in music projects with full transparency using Smart Contract technology. Some record labels and artist are already building platforms to do this. Some artists and producers have already jumped at the opportunity to develop blockchain-based digital rights management. 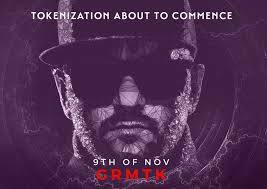 For example, during his upcoming tour, Gramatik will be launching his very own cryptocurrency token, called GRMTK, which will allow him to control the distribution of his work to fans via a decentralized entertainment channel called Singular DTV. Owners of the GRMTK token will effectively own part of Gramatik’s intellectual property. This is a revolutionary move, as Gramatik will become the first artist in history to be “tokenized,” with token holders receiving a portion of his rights and royalties. The technology to transform the music industry using blockchain is not fully mature yet, but we are close. 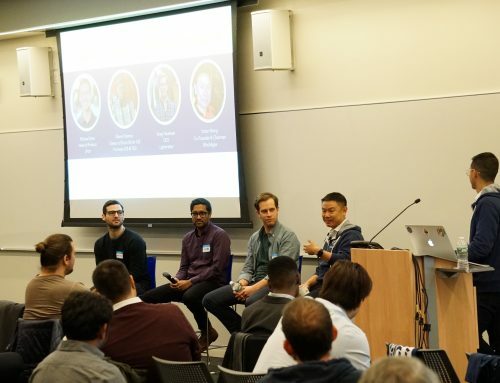 Many developers work around the clock to refine details and to code infrastructural improvements on the various blockchain projects that will bring them to reality in the next few years. 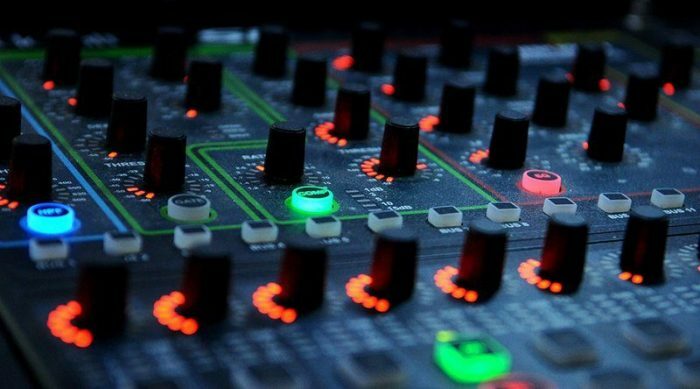 Blockchain has the potential to disrupt the music industry and promises to give artists more control over the sales and distribution of their music. Traditional industry record labels will have to adjust accordingly, or get left in the dust. More and more projects are starting up every day.